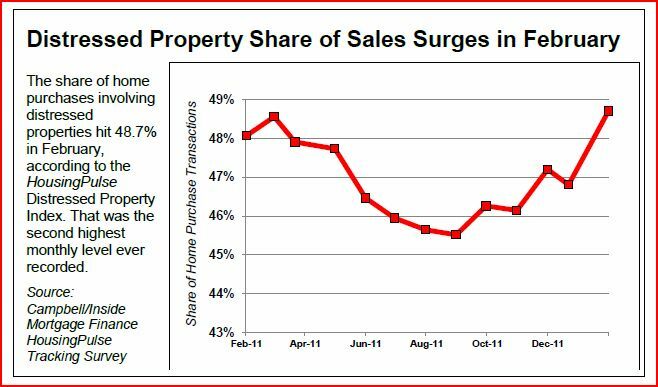 homeowners purchasing short sales have dropped since September. mortgage servicers and unpredictable closing dates. Investors find short sales more attractive because they do not have to deal with the complications of breaking rental leases or moving from another home on short notice. Mortgage servicers have been using “cash-for-keys” payments to motivate delinquent homeowners to engage in short sales. Cash-for-keys payments are often $3,000 or 1% of home value, but can reach up to $25,000 and more for high value homes in areas with long foreclosure timelines, HousingPulse respondents reported. “The typical amount offered to homeowners with ‘cash for keys’ is $3,000. Approximately 1/3 of my short sale transactions are qualified for the cash for keys program,” commented a real estate agent in Virginia.